Is a career in Manufacturing and Utilities a good fit for me? With 1 in 10 Canadians working in the Manufacturing sector there are a wide range of career options and opportunities. A career in Manufacturing and Utilities can include working as a manager, supervisor, labourer or operator in the manufacturing and processing of minerals, metals, plastics, rubber, textiles, electronics, forest products, food products and other materials. It can involve motor vehicle assembly, electronics manufacturing, or working with petroleum, natural gas, wastewater or other utilities. This category will appeal to those who enjoy doing practical, hands on work in a busy and fast paced environment. Jobs in manufacturing and utilities may be suitable for those who enjoy working with others, are effective communicators, are adaptable and are able to respond to the often changing demands of the industry. Many jobs in this category will involve repetitive, physically demanding work, oftentimes in a hot, noisy and/or dusty environment. New Brunswick Association of Onsite Wasterwater Professionals Inc. 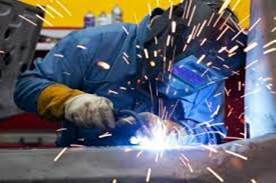 This category contains supervisory and production occupations in manufacturing, processing and utilities. When conducting labour market research in areas where occupations are defined by a 4 digit NOC (National Occupational Classification) code, the first digit of the code for all manufacturing & utilities occupations is 9. To secure a position in Manufacturing & Utilities you will need to highlight the skills that employers are looking for from their employees. The previous section on skills will help you recognize the most sought after skills. If there are areas you feel you need to work on, it would be a good idea to practice. What experience do you have with pulp and paper processing? Water and chemical processes? What do you see as the biggest safety issue in manufacturing and production? Tell me about a time when you have witnessed a colleague or supervisor working in an unsafe manner. What did you do about it? What kind of work have you done with maintenance planning, costing, scheduling, and on-time project completion activities? Production downtime, as well as unexpected breakdowns increase the costs of manufacturing. Tell us about a situation in which you reduced or recovered production or maintenance costs. What work-related achievement are you the most proud of? How do you approach a problem? Do you prefer to assess a problem quickly and initiate a fix, or take some time to consider the situation and possibly seek advice before arriving at a decision? When was the last time you had a conflict with a co-worker or supervisor? How would you like to play a role in manufacturing products people need and use everyday?